Fini & Fini Construction Co, Inc.
Hudson Valley All-Pro Paving, Inc. Comment: Inclined blacktop driveway has a hole at the bottom. Comment: I would like to get an estimate for installing a concrete slab and footing for a garage. Comment: Raised ranch house. Current front steps broken and falling apart. Need replacement. Comment: I would like to get an estimate for sidewalk repair. It is cracked. It is in front of a business. Comment: Looking to get pricing for ongoing repair on concrete steps and landings (concrete wearing off). Two locations at present: 204 Balsam Drive and 2006 Hawthorn way at the Grove at New Windsor. New Windsor Concrete Contractors are rated 4.72 out of 5 based on 431 reviews of 30 pros. 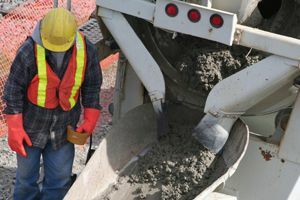 Not Looking for Concrete Contractors in New Windsor, NY?